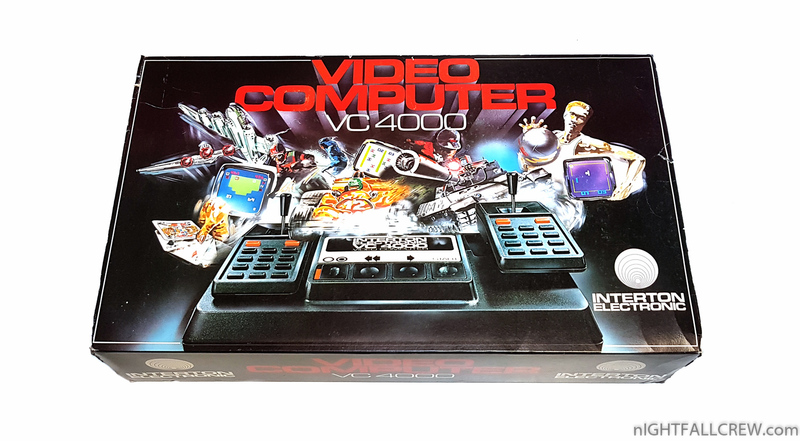 The Interton VC 4000 is originally a rebranded and reshaped Radofin 1292 Advanced Programmable Video System, released in 1976 (making it the second, if not the first, CPU and interchangeable ROM based console). The machine is powered by a CPU and a GPU, both made by Signetics, an American chip maker bough by Philips in 1975. 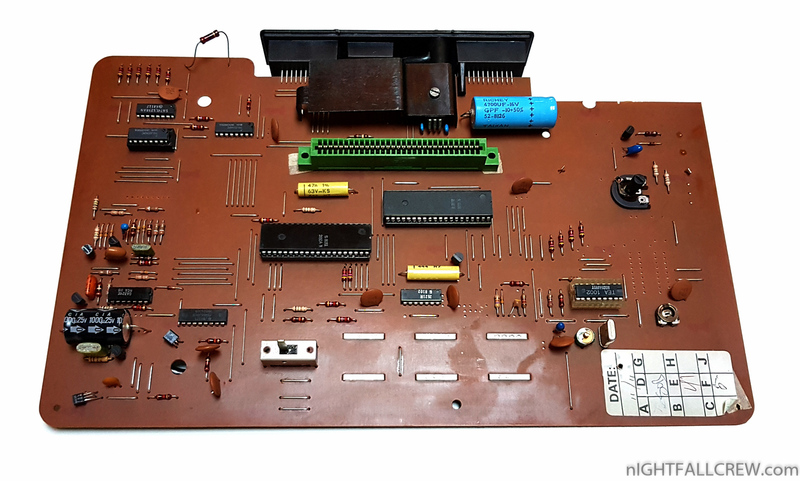 The APVS/VC4000 seems to be conceived by Philips to promote their Signetics chips, and was probably sold to various little electronics companies. 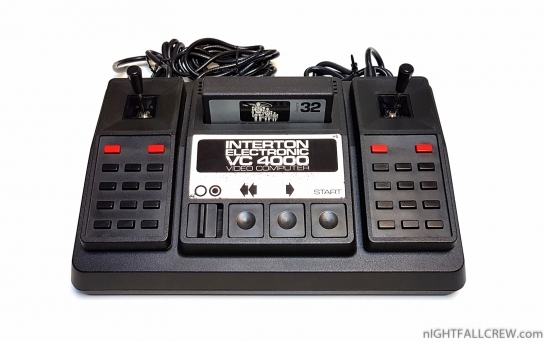 Claims are that Interton conceived the VC4000 before the APVS, but the release date is still 1978. Various threads on Internet show different specs for the APVS and the VC4000, but it’s probably a confusion between the CPU speed and RAM and the GPU speed and RAM. The GPU is able to offer a display of 218*200 pixels, with 8 colors, and monochrome sprite(s?). It’s also in charge of the sound. 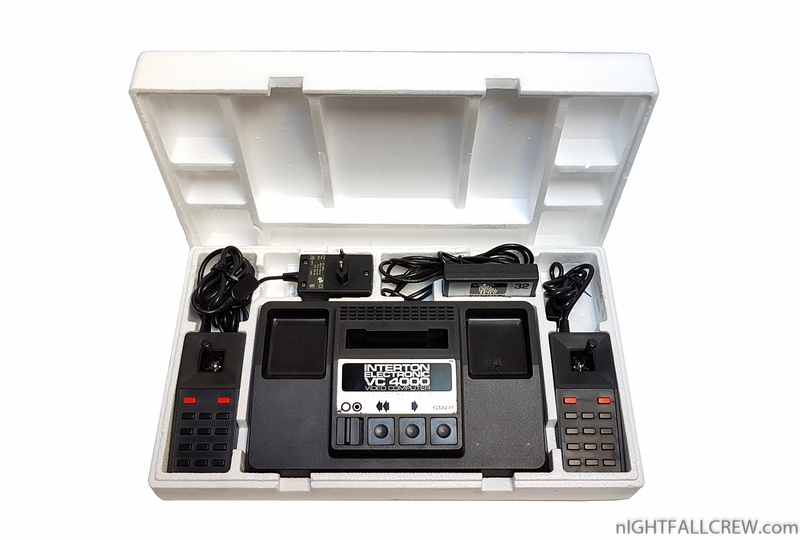 It seems more able than your regular beeper, but not on par with the Atari 2600 or Videopac. (or, maybe it is but never shows, at the sound is exactly the same on the Arcadia 2001, and it sounds much better, tho still weak compared to other systems). 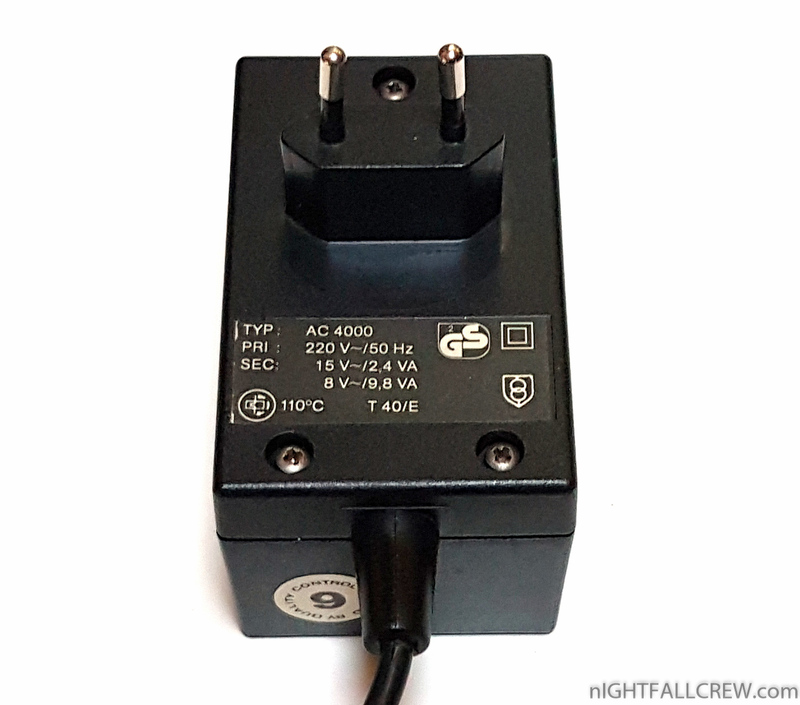 The input consist of 3 keys : Reset, Select and Start. 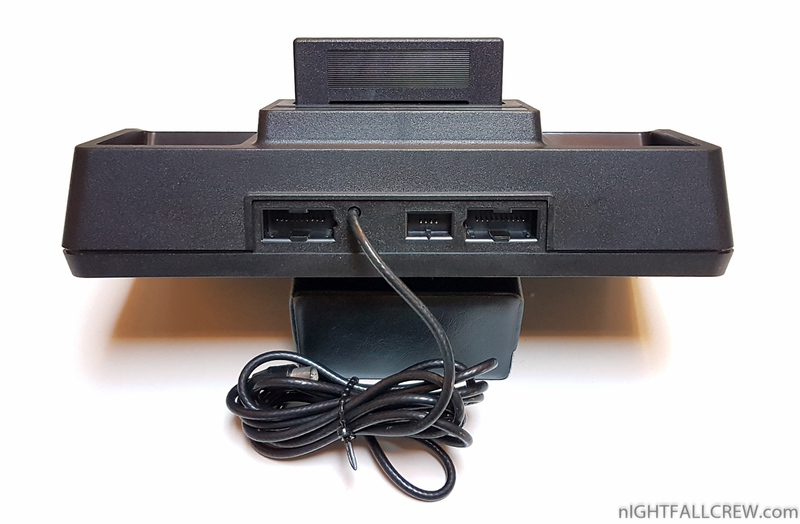 Plus two joysticks; they have an analog joystick (free on the APVS family, auto-centered on the VC4000 family) 2 action/fire buttons (which seems to be one button, so they might be internall wired together) and a 12 buttons keypad-like keyboard. About 50 games have been programmed for the various systems release. Although Interton (or Interton fans?) 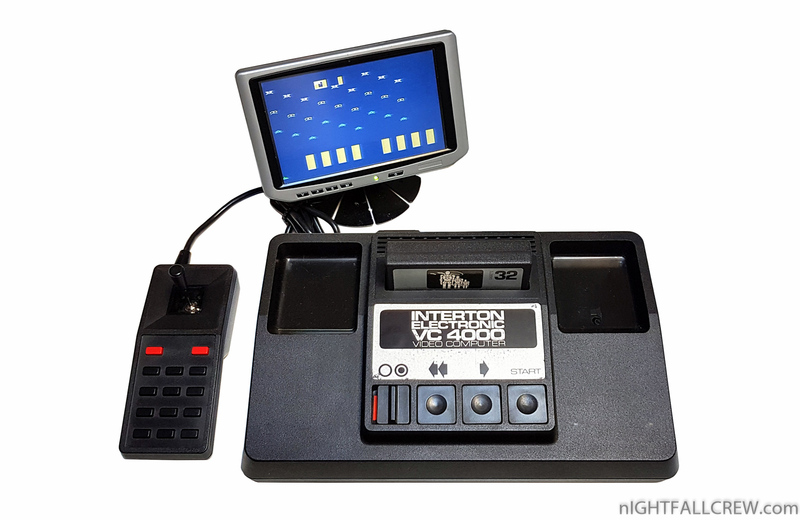 claim that the Interton VC4000 is superior to the APVS, back in 1980, cart adapters were sold to play APVS carts on Interton VC4000 and vice-versa; furthermore, dump of games showed no difference between most games, the main difference being for some in-gam words changed to English to German, and the mention “Interton VC 4000″ added in few games. The system was sold from 1976 to 1984; tho there isn’t any definitive date, as those date covers all licenced clones; I have seen the Interton VC4000 in a French video game magazine dated from December 1982; and I own a ITMC MPT-05 clone with a receipt from 1984 inside (tho it might just be some old stock; but the IMTC MPT series of clones seems all to started to sell in 1983). From what I have found, there are 50 different games released for the system, tho some are available only on one family. There might be another family two French systems (Karvan Computer and Occitel OC-2000) but there is nothing but pictures to be found about them. There is also the Hobby Module add-on (for the APVS only), that added the possibility to program games in Signetics BASIC? and more importantly, to record and load programs from a cassette tape. 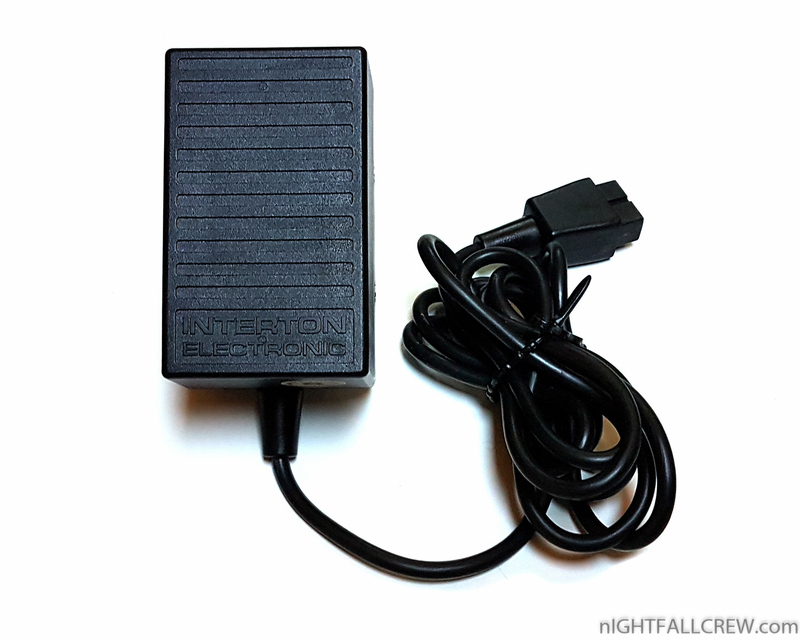 One notable feature of the console, aside from the analog joystick, is how to boot any game. When powering the system, the screen will display raodom stuff; Reset mush be pressed to get a normal screen. This is due to the weak amount of CPU RAM. Why so few RAM? Back in 1976, only some types of RAM could be adressed directly by the CPU;this RAM was obviously more expensive than other RAM; (it’s one reason why the Fairchild channel F got only 64 octets and the 2600 128 octets). 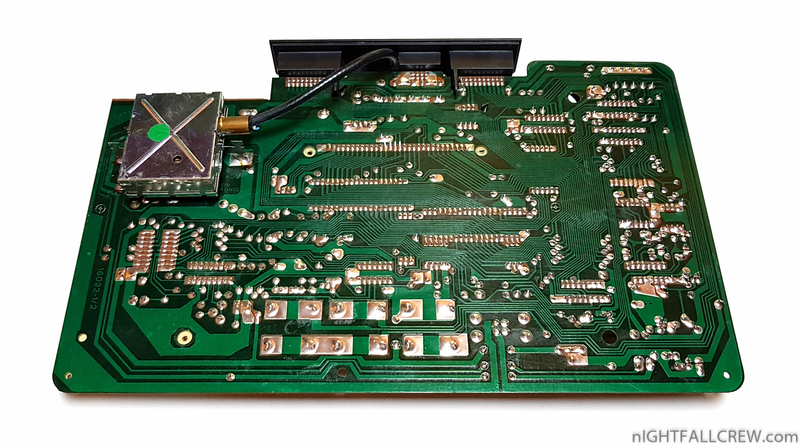 To get more RAM, one workaround (that got used also in the Colecovision) is to use few RAM to boot up the system, and load one instruction for the CPU to look in the GPU RAM to load data. The GPU RAM being obviously cheaper, allowing to get more of it. Tho, probably from bad programming, later games carts not only have more ROM, but also up to 256 octets of RAM. 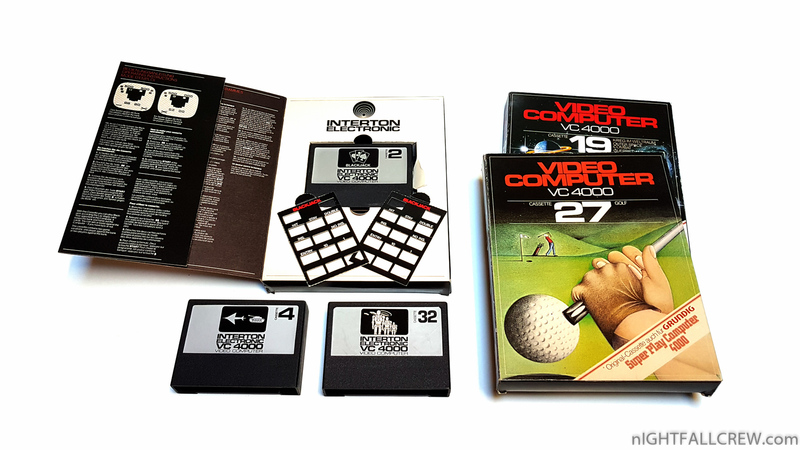 Most games are pretty typical of the era; Videopac/Odyssey² offer about the same kind of games, with a likely evolution from “basic” games to licenced-like games later in the life of the system, with clones of arcade such as Invaders.